A stunning baby gift box, hand wrapped with care, with unisex monochrome presents for baby, and including a special gift for mum. The perfect gift for someone looking for something a little bit different. Full of nice bright colours for funky babies and modern mums. 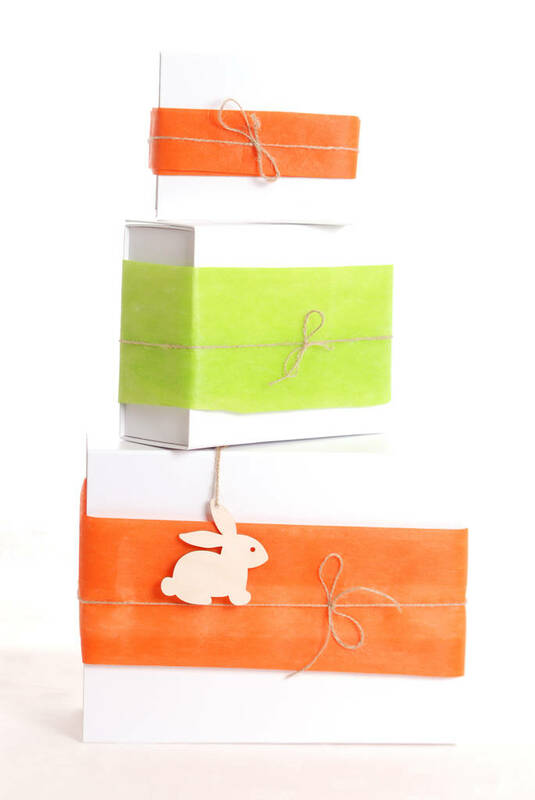 The opening of the baby gift box will be a joy in itself, tastefully yet colourfully wrapped with fabric, tied with twine and including a wooden keepsake tag. All personalised with a message of your choice. All items inside are individually tied with twine to emulate mini packages so the excitement continues with each item opened. Vintage style luggage label can have your personal message handwritten on it, for that personal touch. 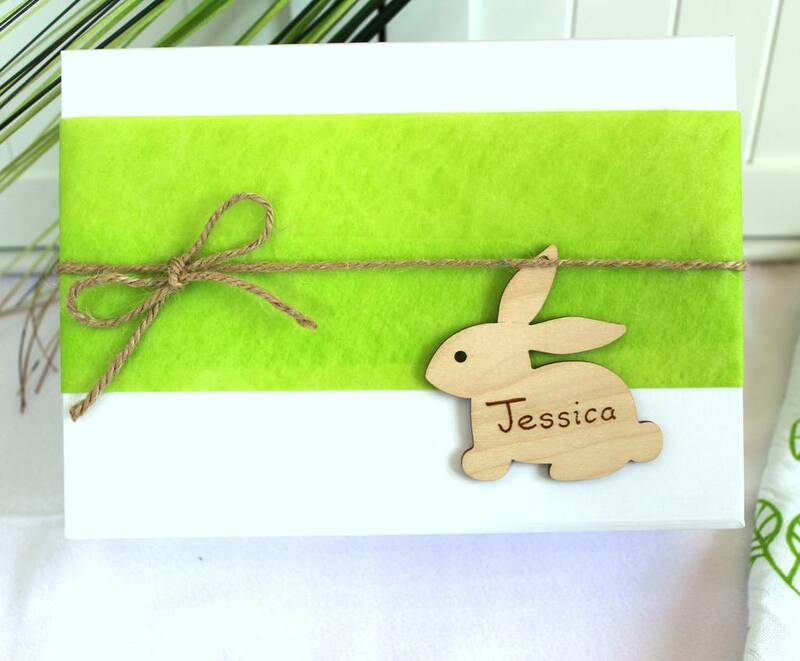 The wooden bunny gift tag can be personalised with baby's name. 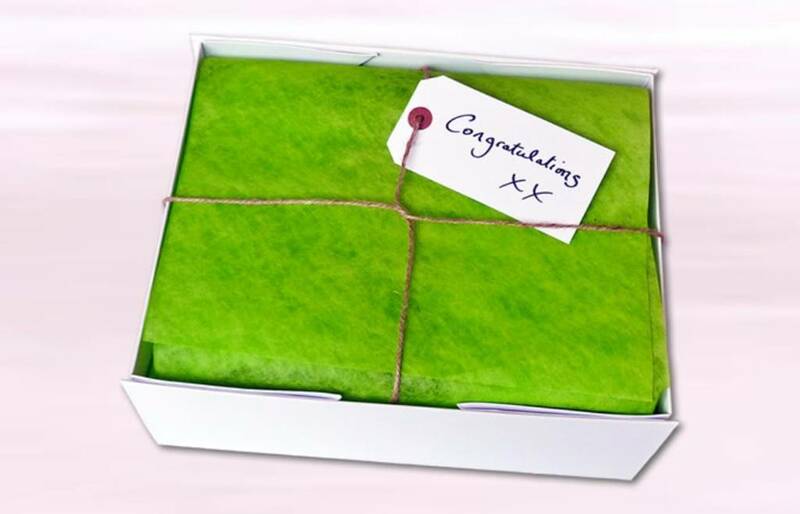 The colours shown may vary slightly from those included in the actual baby gift hamper. Meet Woolly! This little lamb is as soft as....well a new baby lamb! 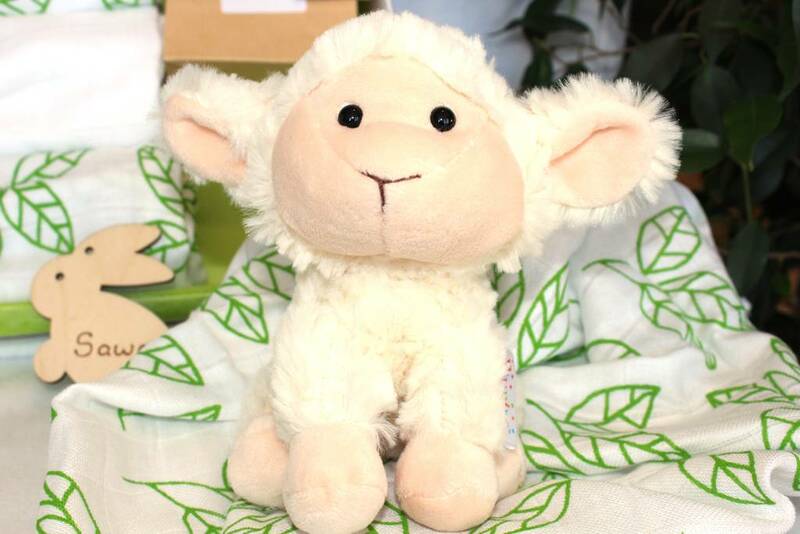 He is made for snuggling and will be sure to delight the newest little person in your life. A new mothers essential item, doesn't have to be plain white, this lovely leaf print will be easy to find in the change bag. 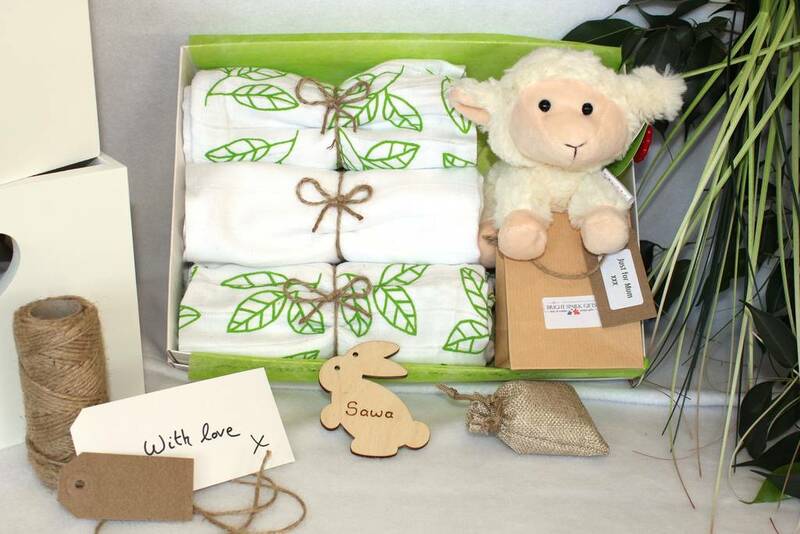 The organic cotton and bamboo is super absorbent and ultra soft. A white muslin is also included, they can be used for mopping up little spills, covering up whilst breastfeeding, swadlding or a burp cloth.